I have been lucky enough to get my hands on a finished copy of this book and it is really cool. The front cover has a great 3D effect, as one the characters of the book (Tall Jake) emerges from the cover making it stand out. Also what makes this book ground-breaking is that it is part-novel, part-comic which really works well with this story. Again Chris Wooding has delivered a refreshing style of writing and never ceases to amaze me. He writes with such vigour covering dark characters and gripping sub-plots. I was gripped from beginning to end and was disappointed when I finished the book; I wanted to read the sequel straight away. However "Havoc" is advertised as coming soon but I'm not sure the exact date as of yet. This book gets five out five well worth reading and owning a copy. This is a great fantasy read set in an ancient Oriental world, drawing on Chines myths and tradition. Complex, vivid,and with themes of difference,and politics which have critical consequences for Eon.It's a real page-turner, with fights and chases aplenty, but the narrative itself isn't in a rush, it's simply and well written and well worth the read.Eon is probably intended for the young adult market but this will be a big hit with younger avid readers. So all in all i give this book four out of five but i know this book is going to be a big seller and and get alot of attention from all media avenues. 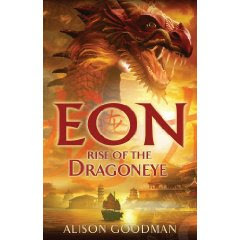 Twelve-year old Eon has been studying the ancient art of the Dragoneyes for two years. Singled out by an ailing but power-hungry Dragonmaster, he is desperate for the chance to become a Dragoneye, the human link to one of the twelve energy dragons and its power. But he is playing a dangerous game: Eon is actually Eona, 16 years old and a girl. His true identity must remain hidden at all costs: it is forbidden for women to practise the Art, and to be discovered would be punishable by death.Now the Rat Dragon seeks a new apprentice and only one boy will be chosen. The twelve candidates approach the mirrors and perform ancient combat sequences to prove their worth. Let down by his injured leg, it seems that Eon is destined to fail, until a spectacular twist in events catapults him into the opulent but treacherous world of the Imperial court. Without a master to guide him, Eon must learn to harness his unprecedented natural power, while protecting the secret that could cost him everything ...Set against a rich backdrop of Ancient Chinese myths and traditions and fraught with tension. Book published by David Fickling in the U.K January 2009 also to be released in the U.S in late December through Viking Children's Books. Gerry finds him self in a plane crash after getting struck by a lighting storm. When Gerry comes through he finds himself trapped in the skin of a baboon. 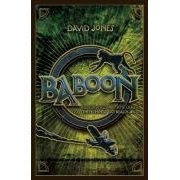 He finds him self adapting to a baboons way of life, while emotionally missing his parents and his only school Friend Milton.This makes a great read as David Jones degree in zoology shows through the quality of his written and the story he tells. It's great book to read for all ages. I will give this four out of five. This is the synopsis for the book. Fourteen year-old Gerry and his parents are returning to the African Savannah after six months in London when their plane crash lands in the jungle, killing the pilot. When Gerry wakes, he has a terrifying shock. He is now a baboon. Using his human intellect and powers of reason he ensures his survival and growing acceptance by a baboon troop. Just when things are getting comfortable, a shock attack by a leopard triggers Gerry's re-entry into his own body. In hospital, Doctor's tell him he has awoken from a coma - but does Gerry have the scars to prove otherwise? This book is now to be released Jan 5Th by Chicken House in the U.K and has already been published in the U.S.
And a big thank you to for Chicken House for sending me a copy to review. 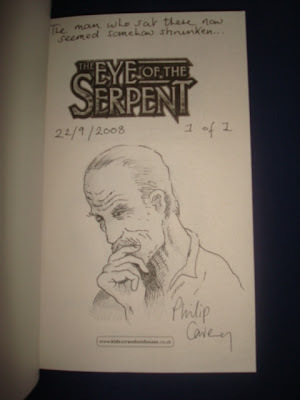 Just keeping the Philip Caveney thing going this week. On reading the first chapter of Philip Caveney's new project Watchers which is some what different from his normal style of writing. This covers real-life and emotional issues. I am looking forward to reading the finished book but I believe this book is at the stage of finding a publisher. So I hope this book finds a publisher soon. Below is part of the first chapter, you can read the rest on Philip's website. It was Saturday afternoon, a cold and miserable October day. There was nothing on the telly, so Will took Spot for a walk down by the river. Spot was a scruffy little mongrel, golden brown in colour, with not a single dark blemish on his entire body. Will couldn't exactly remember why he'd called him Spot in the first place, but it hardly mattered now and at least it was a conversation piece, on those rare occasions when they encountered strangers. Mum had repeatedly told Will, ever since he was old enough to understand, that he wasn't to talk to strangers, not ever; but Will needed to talk to somebody and conversation was in pretty short supply around the house since Dad had died. Mum did her best, obviously, but she spent a lot of time these days staring at the television with a tall glass of gin in her hand and a lot on her mind and Will could understand only too well why she didn't have much to say for herself. She'd lost the love of her life way too early and she didn't have the first idea how to make things work without him. This is the second major children's book written by the new talent of David Calcutt his first book was entitled "CrowBoy".His new book is called the Shadow Bringer which will be released in February.The story is a cross between David Almond and Michelle Paver which makes this story a powerful read. The story sets a very dark atmosphere. As a reader you feel you are being watched! It follows the unknown journey of Nathan out walking with his dog. Whatever it is, it's after him. Will it get him?I think you should find out!! I give this book three out of five as I did have some small issues with this book. It could have had a little more story content and I felt there was a slight repeating of dialogue. But overall something you should read. 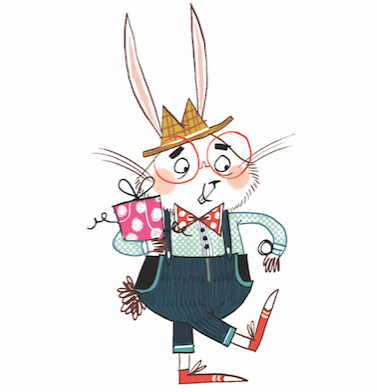 Barry Cunningham left Bloomsbury and in 2000 set his sights on starting up Chicken House, a dedicated publisher of children's literature. Discovering authors who have a talent for storytelling and a voice as distinctive as J K Rowlings. Chicken House and the Times recently launched a children's fiction competition in The Times newspaper. The winner was Reavers' Ransom by Harrogate author Emily Diamand. Emily admits she went into self-denial about her prospects of being short-listed and believed that if she even thought about winning for a moment, it wouldn't happen. Emily Diamand's book did shine out over all the other stories and has now been published to some success. 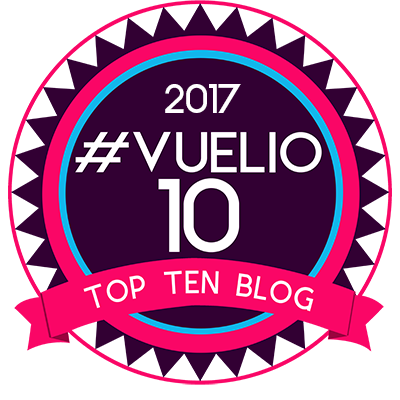 Emily has had huge interest from more than forty countries and great PR support with wider national and international coverage. The book was launched at the Cheltenham book festival and now has people speculating if Emily is the next J K Rowling. This is the synopsis for Emily Diamand Reavers' Ransom. This is one of the best written stories this year. Set in the 22nd-century in an England partially flooded by climate change, Reavers' Ransom follows the exploits of Lilly Melkun who finds herself embroiled in the kidnap of the Prime Minister's daughter.I loved every page of this book not Knowing what was going to happen next.With it's well written story and it distinctive voice makes it a memorable read. SO THIS BOOK GETS FIVE OUT OF FIVE AND MAKES IT A GREAT COLLECTIBLE OF THE FUTURE. The pupils of the Nightmare Academy are in for their hardest year yet, as the Named monsters of the Nether prepare to break free! Final exams don't normally end in death, but Charlie Benjamin's final exams are far from normal. When Charlie, Violet and Theodore embark on a routine test in the Nether, they don't expect Violet to be abducted by demonic, kangaroo-like Dangeroos and they really don't expect to end up in the middle of an all-out breakout attempt by the remaining Named monsters. With the mysterious "Guardian" under threat, and Barakkas and Verminion still loose on earth, only the misfits of the Nightmare Academy stand between an oblivious humanity and total annihilation. 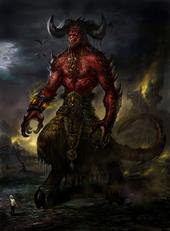 Because if the Four Named should ever escape the Nether and assemble on earth, they would be able to summon the Fifth. And that, by all the most reliable accounts, would be Bad. Really, really Bad. We're under attack! The last of the mega-monsters known as the Named are fighting their way into our world, and only a mysterious being known as the Guardian can help -- but the Guardian is dying. To save him, Charlie Benjamin and his friends from the Nightmare Academy must journey into the heart of a Hydra cave, through the spooky Bermuda Triangle graveyard, and across the treacherous, monster-filled San Diego Zoo. I have used the American book title as i have only got the American proof copy. All of the books in this sereies have diffrent book titles in the U.K. This is the second book in the series wich i love more then the first book. This book was totally original and really distinguished this story from other books. The story was fast paced, exciting, and I couldn't put it down.All in all four out of five.I hope to have some more news soon on the next instalment and possably the new film. Book released date 5-Jan 2009 Harper collins paper back in the U.K if you want to read it now you can buy an american copy now on Amazon. Thanks very much for your great review! Book 2 comes out in the UK at the beginning of January and will be called MONSTER REVENGE (my preferred title, by the way). Book 3, MONSTER WAR, is currently scheduled to come out in the US and UK around the same time -- late summer of 2009. That book is completed. 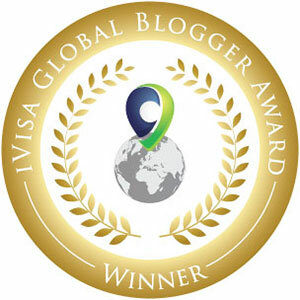 Thanks again for your enthusiasm and your site is terrific! The first in a magical trilogy about the mysterious island of Tamarind. Narnia meets Neverland for a new generation. "Aguiar’s exciting debut novel is a cross between Peter Pan and Lost. Readers will be drawn into this dangerous, magical world where anything is possible and nothing can be fully explained...Young people will be transported to a world so different from the one they currently inhabit, following along as Maya and Simon escape their adversaries and struggle to survive in this hostile land. Published 1-Jan 2009 as Puffin Paper back. I give this book four out of five.. These are a selection of new books soon to be released in the New Year (Jan/February 2009). At the moment they are just listed but once we've read them (providing we obtain pre-publication copies), we'll add a review giving insight and detail so that you can look out for them!